On these dark, cold and drizzly autumn (and winter) evenings, there is no better end to a meal than a sweet, delicious fruit crumble. Well, that's my opinion anyway. I don't know about you, but I'm pretty bored with the 'typical' crumble that's re-hashed year in, year out; the butter, sugar, flour, oats combination just doesn't cut it for me anymore. So I decided to do something about it. I tuned in to my tastebuds and got my creative juices flowing. 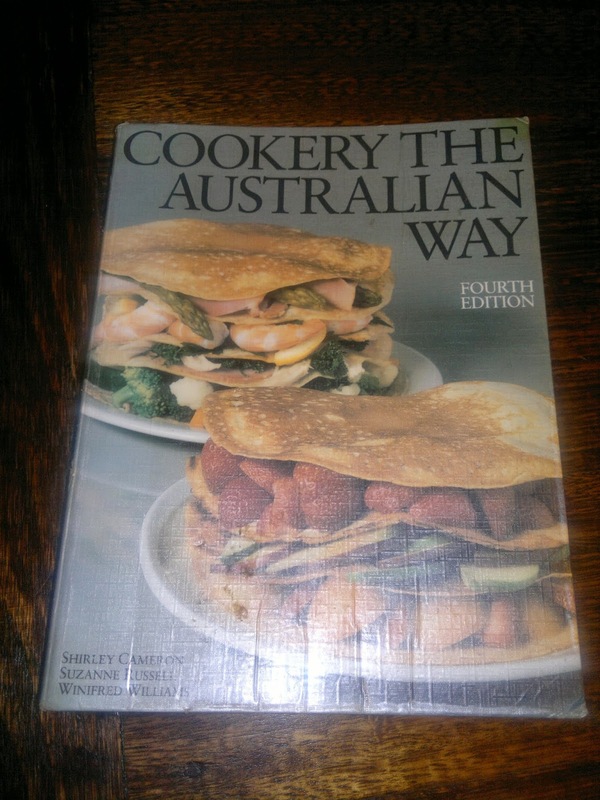 Mum's retro Cookery The Australian Way cookbook. Note: I had extra crumble mixture left over; you may use more or less depending on the size and depth of your baking dish. I cooked the leftover crumble mix on a baking tray for 20 minutes - it was delicious as a crunchy 'nibble mix' or addition to yoghurt. 1. Preheat oven to 150 degrees Celcius. Peel and roughly slice the apples. Place apples in a large saucepan with boiling water and simmer until apples are softened (about 20 minutes on low heat). 2. 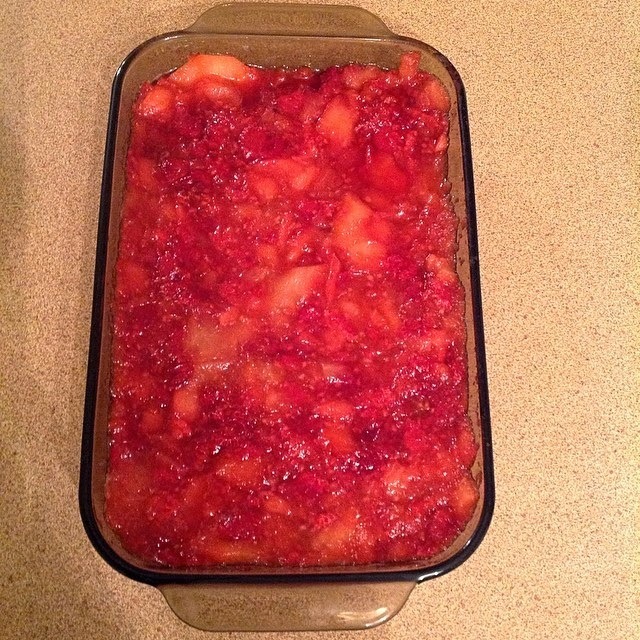 When the apples are softened, add frozen raspberries and cook for a further 5 minutes to combine. Remove from heat. 3. In a bowl, rub the flour and LSA mix into the tahini to form a crumble. 4. Once combined, add the oats, coconut and honey and mix well. 5. 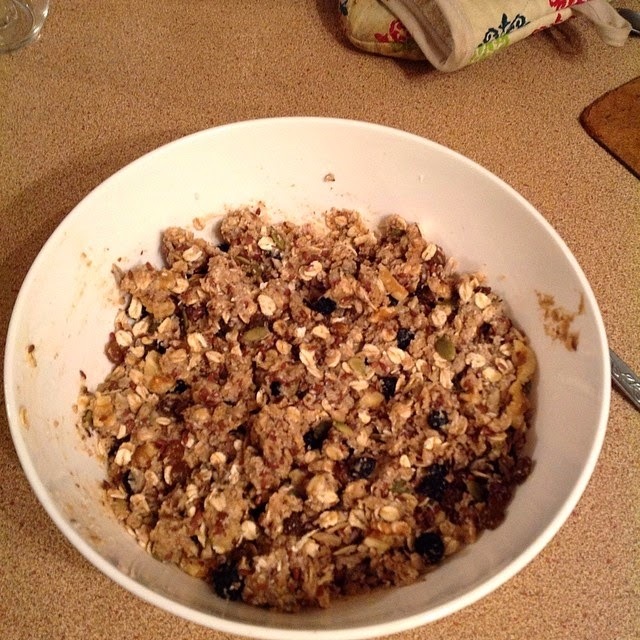 Add the sunflower seeds, pepitas, walnuts, blueberries and sultanas and stir well to combine all ingredients. 6. Pour the apple and raspberry mixture into a baking dish (the one I used was about 30x15cm) and spoon crumble mixture over the top. 7. 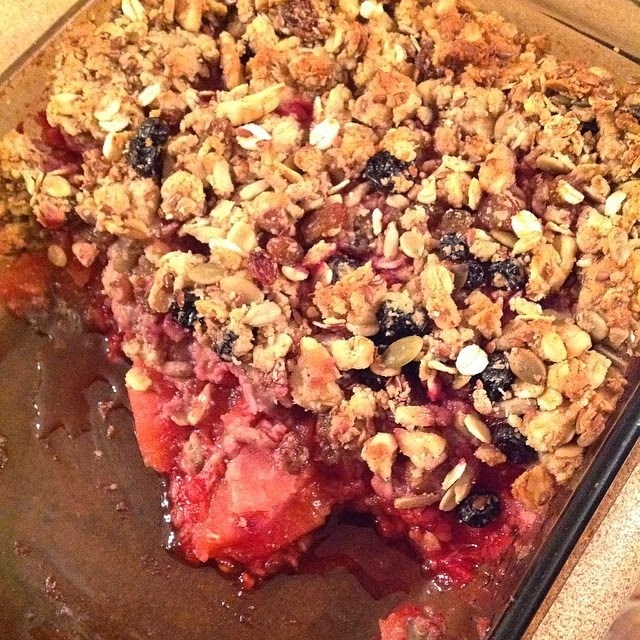 Place in pre-heated oven and bake for 20 minutes, or until filling is warmed through and crumble topping has browned. 8. Remove from oven and serve with vanilla custard, yoghurt or ice cream. Enjoy! Thanks for stopping by. 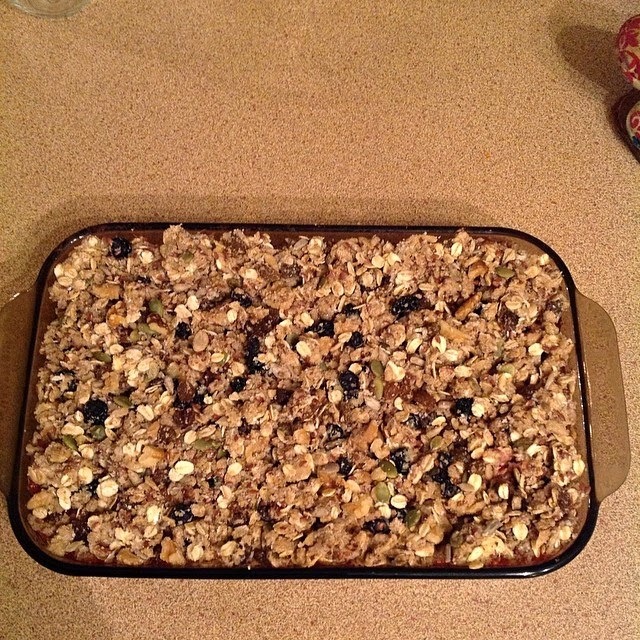 I'd love to hear your thoughts on my Superfood Crumble - please give it a try let me know how it goes! Until next time, happy eating!